Presumed dead by the Stockholm police, master criminal and undercover informant Piet Hoffmann is now on the run from the Swedish authorities, living with his wife and two young sons under an assumed name in Cali, Colombia. Only Hoffmann's former police handler, Erik Wilson, knows where he is--and that he has accepted two dangerous new jobs: one as a high-level enforcer for a Colombian cocaine cartel and one as an infiltrator for the DEA, working to bring the cartel down. The FBI even lends credence to his cover story by adding Hoffmann's alias to the Most Wanted list. But when the Speaker of the House is kidnapped by the cartel during an official visit to Colombia, everything changes--fast. Hoffmann is party to the highest-profile political kidnapping in years and therefore directly in the firing line in what is quickly dubbed the 'Final War on Drugs.' Suddenly, the Most Wanted list becomes a kill list and the DEA cuts off all contact on orders from the top, leaving Hoffmann and his family stranded. Hoffmann must walk a delicate line as he tries to protect his young family and keep up his dual role as a cartel enforcer and a deniable intelligence asset for the US government. 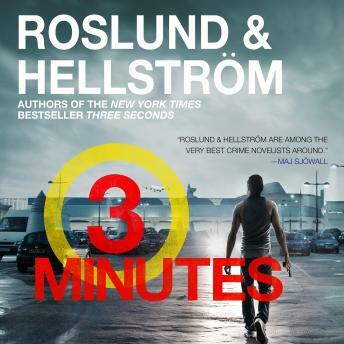 It soon becomes clear that his only chance at getting out alive is to rescue the Speaker of the House and bring him back to the States--but to do it he'll need the help of Ewert Grens, the stubborn, dogged Stockholm detective who hasn't forgotten Hoffmann since the explosive showdown in Aspsas prison years ago.